Honey has many amazing properties. One of the least known is how incredibly nourishing it is for our skin. As the main medium for this product, it works in concert with essential oils and coconut oil to gently cleanse the skin of dirt and foreign oils, all while protecting your skin’s naturally healthy bacteria garden. Beeswax seals in moisture and adds its own protective nature. Tea tree oil and other essential oils: basil, eucalyptus, and peppermint add their microbe fighting power to the anti-blemish properties of litsea, and bergamot. Cucumber seed oil brings it’s own healing nature and makes this wash a great way to fight acne and restore damaged skin. Note: Some separation is natural. Product may need to be stirred with a clean tool before use. Use: Wet your hands with warm water and pat lightly over the face. You want the skin moistened slightly but not wet. With clean hands or a clean tool, take roughly a quarter sized dollop of cleanser and spread over the face. Start sparingly when applying, you can always apply more, but can’t take extra off. The goal is to have a very thin, yet noticeable coating of honey across your skin. Everyone’s skin is a little different, so it may take a little trial and error. Massage in small circles and pay special attention to the “T” zone made by your nose and eyebrows. Some of the essential oils may be irritating for the eyes, so it is best to avoid getting product in them, though it is generally harmless. After several seconds of massage you can rinse right away with warm water, or leave the product on for several minutes as a mask before rinsing. Pat skin dry with a clean towel. 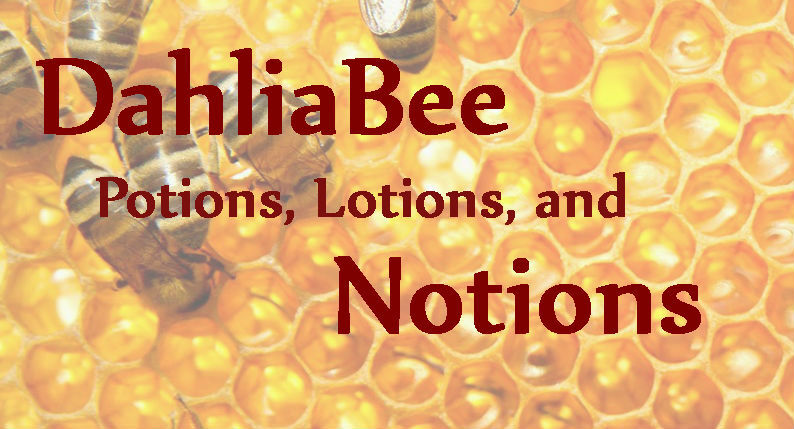 If your skin particularly damaged or dry, follow up with a light application of Dahlia Bee moisturizer to protect and hydrate. For best results avoid using soaps of any kind on your face (except in cases of absolute necessity). Try to refrain from using products that contain alcohol and other extremely alkaline ingredients. Most commercial soaps and acne treatments fall in this category, so take a little vacation from them while you try this product. In one to two weeks, you won’t miss them. How it works: Traditional soaps, acne treatments, make up removers, and face moisturizers often utilize very high pH ingredients. They also tend to completely destroy all of the bacteria on the skin, including the ones that are supposed to be there to take care of it and protect it from infection. That tight, dry feeling you have after using these products is actually the feeling of a barren and damaged wasteland (at the microscopic level). The dried out alkaline conditions cause surface cells to die and flake, clogging pores and increasing risks of acne. Stripped of it’s natural army of beneficial bacteria, the skin will overcompensate in oil production in a desperate attempt to protect itself. 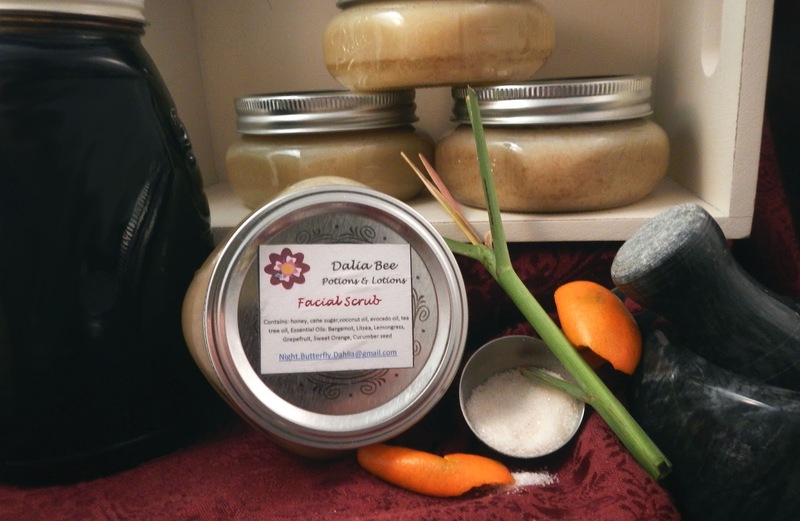 Dahlia Bee products, on the other hand, aim to feed and maintain your skin’s natural ability to protect itself. Honey has antibacterial qualities, but is also close in pH to ideal skin conditions. 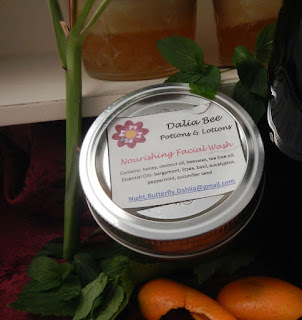 The enzymes, proteins, and sugars contained within nourish the garden of good, healthy bacteria on the skin. The coconut oil in the product adds it’s own gently cleansing properties to that of the honey, as well as keeping the skin properly moisturized and protected from the sun. Within the first few days, it is not unusual to experience some breakouts of blemishes or acne. During this adjustment period, the garden on your skin is struggling to find its natural harmony, and small colonies of acne causing bacteria have a brief chance to take hold. Most individuals see their skin clear up again within four to seven days. However it may take longer if you are still using soap or products with high pH. As your garden finds healthy equilibrium you should notice that your skin will feel hydrated but not oily, and a reduction in blemishes and flaking. You may notice an overall reduction in pore size as they are less prone to clogging, and a generally healthy glow to your face. Sugar may not be so great for your teeth and health but it works really well on the outside of your body. As the main exfoliating agent, organic cane sugar is gently abrasive for the skin yet environmentally friendly and it won’t clog up your drain. Suspended in honey with coconut oil, beeswax, and supportive essential oils. This blend is a great way to gently scrub your face clean of debris and build-up. Honey is incredibly nourishing for the skin and yet mildly anti-microbial, with a slightly acidic pH, making it the perfect cleanser and food for the natural garden of beneficial bacteria that live there. Coconut oil lends its own anti-bacterial power to the mix as well as hydrate and protect the skin. The gently cleansing power of tea tree oil and the blemish fighting power of bergamot and litsea support clear skin. Cucumber seed oil rejuvenates the skin and the beeswax helps to seal everything in and protect it. Notes: For most skin types, it is not recommended to exfoliate the face more than 2-3 times per week. It is best to alternate this product with the Nourishing Face Wash to maintain your skin garden without over scrubbing. Some separation is natural in this product, such as the sugar sinking to the bottom. Stirring with a clean tool or finger is recommended before each use.